Halloween in our house has always been about spooky. My kids like scary and they have always liked to dress up scary for trick or treating. We make spooky snacks and tell made up ghost stories to each other, seeing who can out do last years attempts. 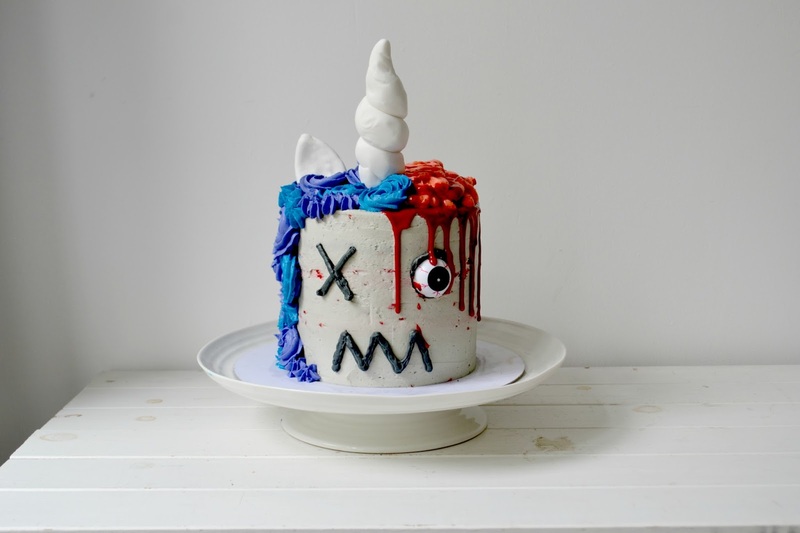 This year, trying to be on trend with drips cakes and unicorns, we decided to merge the two together and add some of our own spooky flair! 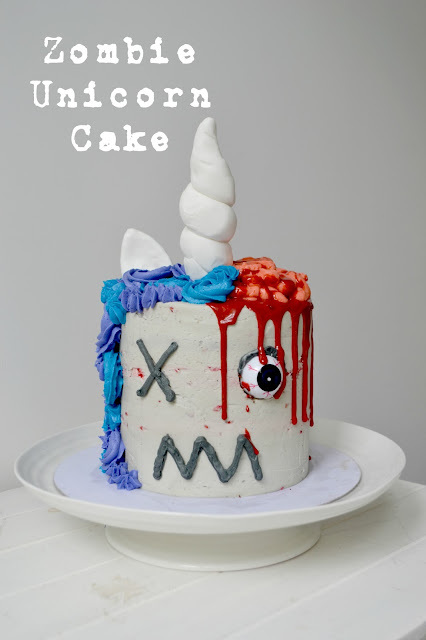 Zombies are a big part of Halloween conversations so why not make a Zombie Unicorn Cake? 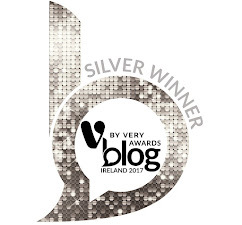 Aldi Baking helped us out along the way, providing our ingredients and the platform to make it happen! It was so much fun coming up with what way our Unicorn Zombie would look, never mind taste but damn, did he taste delicious! 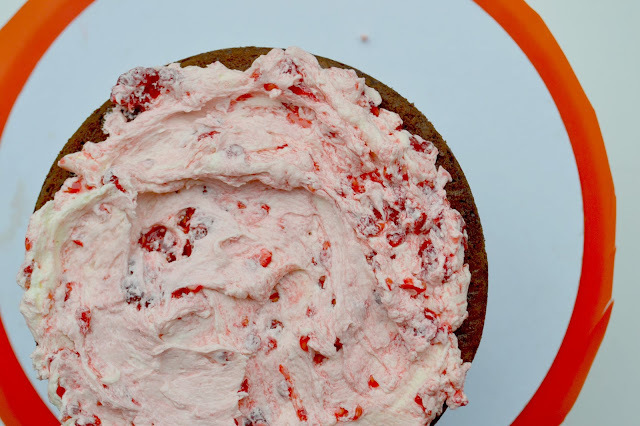 Chocolate, raspberries and a super tasty buttercream brought this cake to life with very little hassle. Preheat your oven to 180 C/ 350 F or Gas Mark 4. Line three 8 inch round cake tins with parchment, or spray with some cake release spray. Make the coffee, make yourself one and take out 60ml. Pour over the chocolate and allow to melt. When melted add the vanilla and the salt. Beat the sugar and the eggs until light and fluffy. They will increase in size. Dry whisk all your dry ingredients together. Slowly add them to the sugar/egg combination. Add the buttermilk and mix until just combined. Add the oil and mix until just combined. Finally fold through the coffee/chocolate combination with a spatula. This mix is thick but runny so you can pour it into the pans easy.. divide evenly and tap the bottom of the pan gently off the counter to get rid of any bubbles. When you have the pans filled, bake for 30-40 minutes, depending on your oven. You'll know it's done when a skewer inserted in the middle comes out clean. 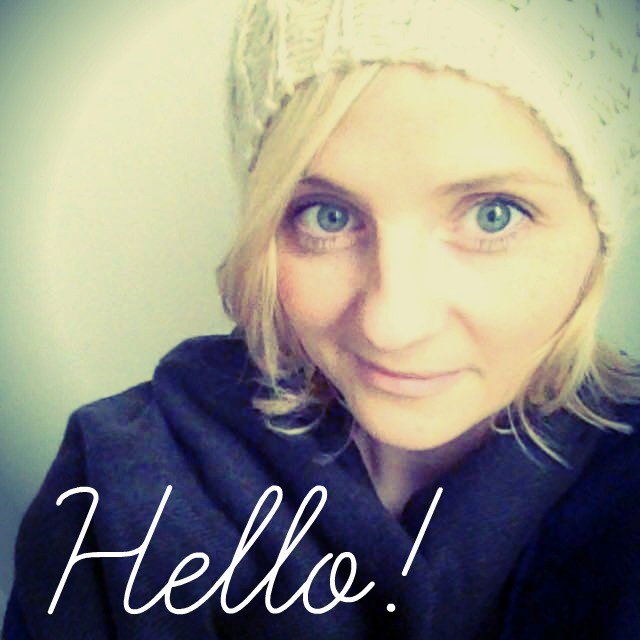 Drink the coffee you made for yourself a few moments ago. When the cakes are cooked, allow them to cool in the pans for about 10 minutes. Then turn out onto a wire tray and allow to cool FULLY before assembling. Add in the icing sugar a few teacups at a time. Mash through the raspberries, leaving them chunky and bitty and bloody looking. Once the cake layers are cool, sandwich each layer with a good helping of the buttercream, Finish off the sides and top of the cake with the left over buttercream. Leave to set in the fridge while you make the rest. Break up the white chocolate and pop it into a heat resistant bowl. Heat the double cream in a small pot until just before boiling, pour over the white chocolate. 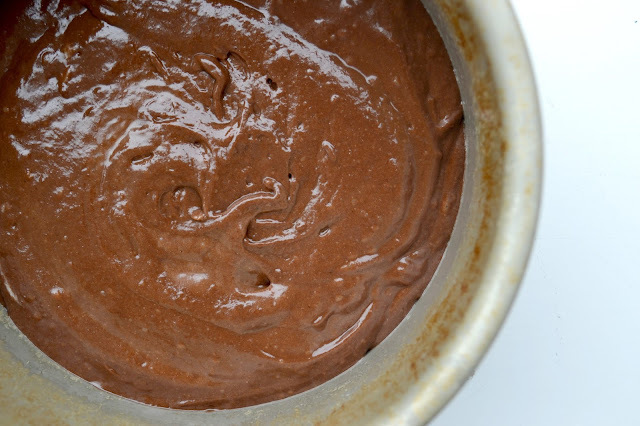 Cover the bowl over with a plate and allow a few minutes for the chocolate to melt. Stir until the chocolate and cream are fully mixed, add drops or red and blue food colouring until you get your blood colour. Set aside to thicken. Make another batch of buttercream as above but without the raspberries and separate it into four bowls, dying one bowl brain colour pink, a little black for the face details and the other two your choice of unicorn hair colour. 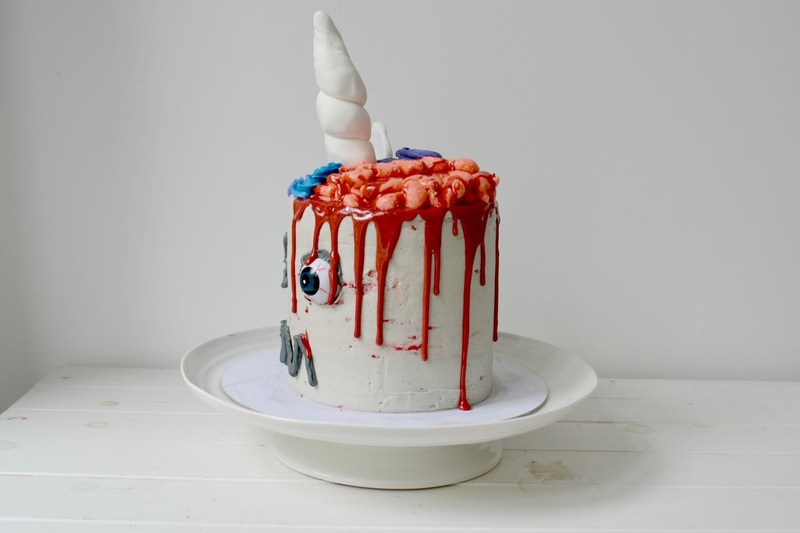 Scoop out a piece of cake and add in a fake plastic eye. 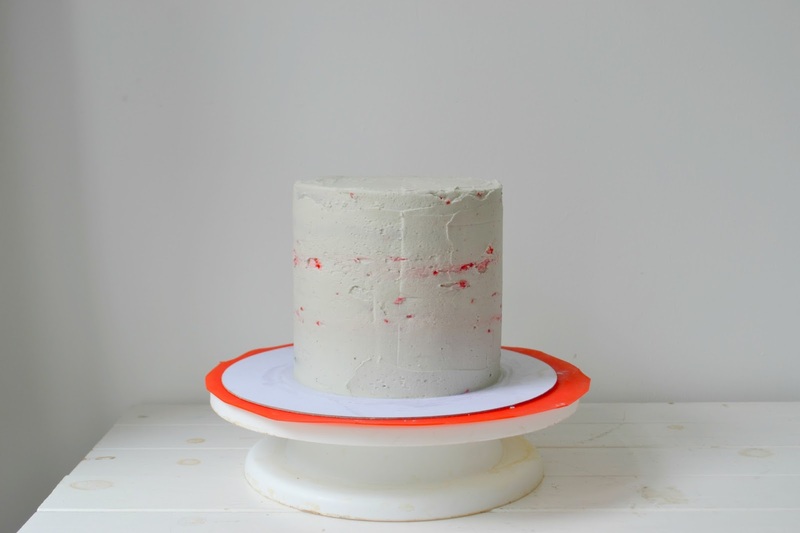 Add drips to the top of one half of the cake, allowing it to run over the edges. Pipe on the pink brain buttercream in a swirly pattern mimicking brain swirls. 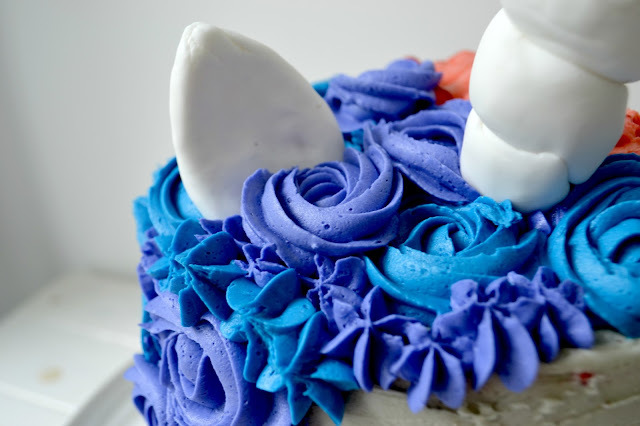 Pipe the other coloured buttercream on to the other side of the cake in rosettes and stars to look like unicorn hair. Pipe on the face using the grey buttercream. 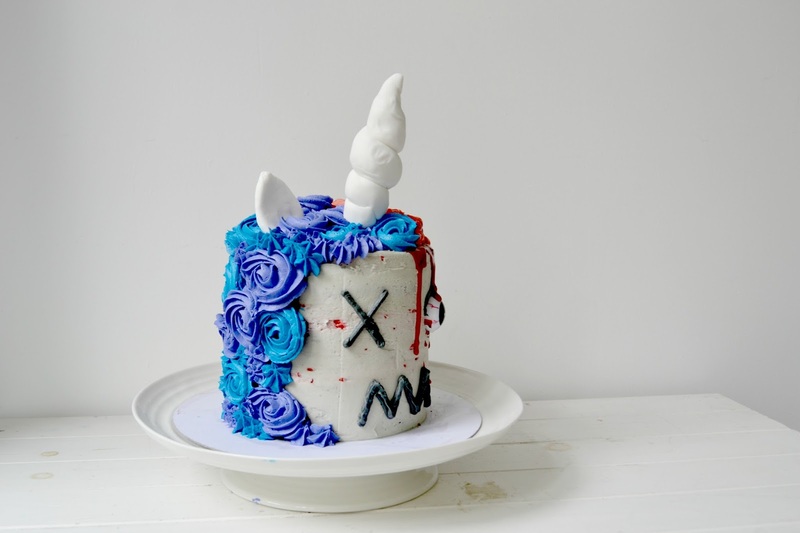 Add a fondant unicorn horn and ear to the top of the cake and leave to set in the fridge. Bring the cake to room temperature before serving. Aldi very kindly, provided me with the ingredients to bring this post together. All comments and views however, are completely my own. Hahahaha this is brilliant! I love this as an alternative to all the pink and glittery unicorn cakes which are doing the internet rounds.